Humminbird PiranhaMAX 165 Portable has an average rating of 4 out of 5 based on 2 user reviews. • Single beam sonar that runs up to a depth of 600 feet at 200 kHz / 28° @ -10db. This fish finder has it all: powerful wattage with high-tech accuracy, a large, easy-to-read screen monitor, and durability. Even in a glaring sun, you’ll be able to see the contrast-enhancing grayscale screen, which clearly displays the images produced by the sonar beam imaging system. The screen is also backlit, so you can read it at night and in low-light conditions. All icons are large and easy to read as well. The wattage on the device is powerful enough to provide a two-and-a-half-inch target differentiation. The detection function goes up to 600 feet, deeper than many fish-finders on the market. The high-wattage, single sonar beam provides precision accuracy no matter what type of water you’re in. The PiranhaMAX 165 has audible fish and depth alarms, in addition to a zoom function. The device is waterproof, so you can fish in the roughest waters without worrying about the sensitivity of the mechanism. The compact device also includes a tilt and swivel mount, and the casing features large touch buttons that are easy to see and use. Like other PiranhaMAX products, the 165 Portable comes with a one year manufacturer’s warranty. Online reviewers agree: the PiranhaMAX 165 Portable offers the durability and dependability that you can expect to find in all of Humminbird’s products. Reviewers say that it’s easy to install; it can be fully-installed and ready for the water in less than an hour. Reviewers especially praise the compact portable design, which allows this device to mount easily onto various areas of just about any size of boat, even if it’s a small canoe or kayak. Reviewers also cite the convenience of the audible fish alarm, which is loud enough to be heard even in windy or noisy conditions. The Humminbird PiranhaMAX 165 Portable fish finder is a much-welcome addition to Humminbird’s PiranhaMAX range of products. This invaluable device is already gaining a large following of enthusiastic users because of its multi-function features, its pinpoint accuracy and its tough durability, all in a convenient, portable package. 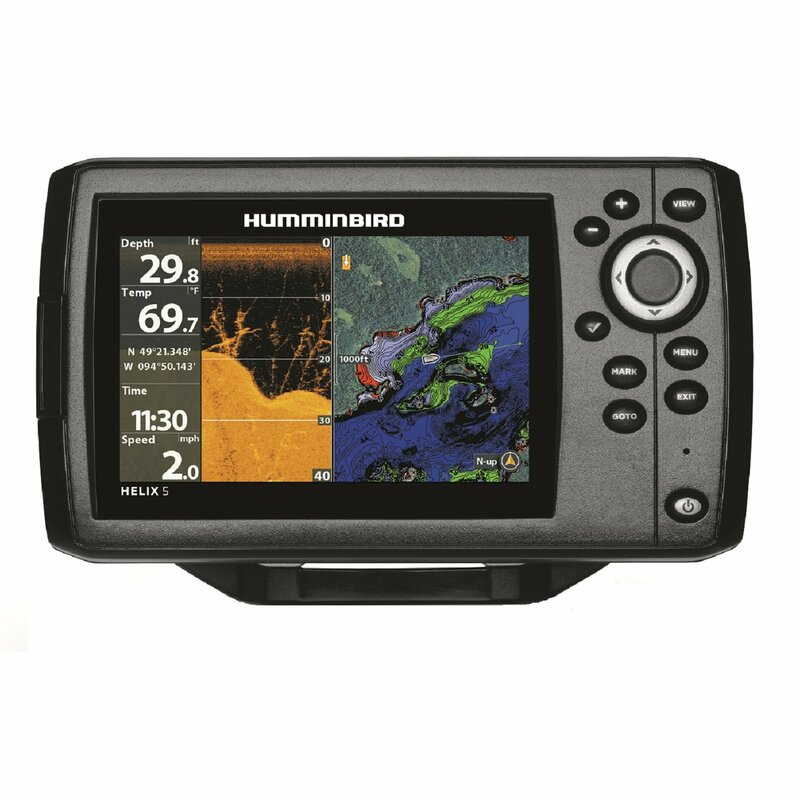 You can get a great deal on Humminbird PiranhaMAX 165 Portable here. This is a decent, no-thrills fishfinder. It has a nice black and white display and lots of different settings. You can’t use auto settings, everything has to adjusted manually, otherwise you’ll end up with displays that only use half the screen. Also, it doesn’t allow you to save locations which is a big problem for me. Simple, no frills fishfinder. Displays temperature and depth. The suction cup transducer sticks to bottom of the boat and stays attached. Battery lasts a long time without charging.